Nebraska football fans, like most fanbases, tend not to dwell on the reasonable. The word “fan,” derived from “fanatic,” suggests a tendency to demand the unreachable and expect glory regardless of the challenges facing their favored team. But, of course, part of our job hear is to curb that enthusiasm, or at least direct it. 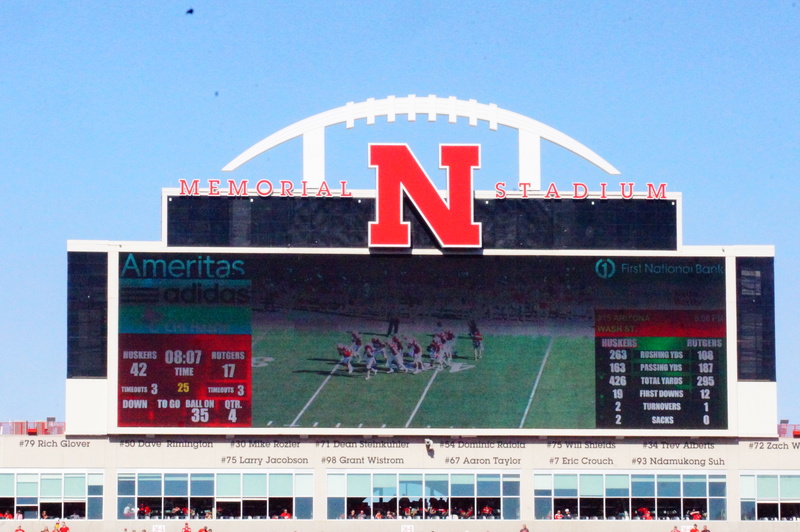 So as we approach spring practice, here are some reasonable expectations for Nebraska in 2015. Interestingly, this observation came from data compiled by CFB Matrix’s Dave Bartoo, who was suggesting that turnover margin is not predictable (or at least that turnover margin tends to revert to the mean). But there are always outliers, of course. In the last five years, out of 120 teams playing FBS football, only eight had a negative turnover margin in each of those five years. Guess which team was one of the eight! Yes, that’s right. Nebraska was no. 108 overall, with turnover margins over the last five years of -2, -11, -12, -1, and -1 respectively. Mike Riley’s Oregon State teams, on the other hand, was no. 39 nationally, with turnover margins of +4, +3, +8, -8, and +4 over the last five years. Sure, past performance is no guarantee of future earnings, especially when it comes to turnovers. But given Nebraska’s remarkable (if distressing) consistency regarding ball security in the last five years under Pelini, it’s fair to assume that a coaching change can be expected to result in an improved turnover margin. This one may be a bit of connecting the dots, but hear me out. One of the first quarterbacks Nebraska offered for the 2016 class (according to 247 Sports) was Dwayne Haskins, a pro-style prospect. In and of itself, that would be little cause for notice. But we really have little idea what type of offense Nebraska under Mike Riley will run. We know that his previous quarterback at Oregon State, Sean Mannion, broke the Pac-12 career passing record. So we know that Riley is certainly not afraid to have his quarterback put the ball in the air. Certainly we don’t know a lot about what Riley’s offense in Lincoln will be. And the fact that Nebraska has offers out to seven dual-threat quarterbacks suggests that Riley is not desperate to abandon the idea of a mobile quarterback. But the fact that Riley is offering a pro-style quarterback like Haskins suggests at least the potential to look at throwing the ball more. This may be another comparison that isn’t exactly fair, given where Oregon State is in the pecking order compared to Nebraska. But Riley’s Beavers in his tenure notched some impressive giant-killings, arguably more impressive than anything Bo Pelini logged in Lincoln. As a smart and particularly handsome analyst observed, in the last seven years Nebraska has beaten two teams ranked in the top 15 (no. 7 Missouri in 2010, and no. 9 Michigan State in 2011). Over that same period, Oregon State beat five teams ranked in the top 15 (no. 1 USC in 2008, no. 2 Cal in 2007, no. 9 Arizona in 2010, no. 13 Wisconsin in 2012, and no. 6 Arizona State in 2014). So Riley has shown that he can upset teams with better talent. If he can take that skill and apply it to the roster he will be inheriting and assembling in Lincoln, then Nebraska fans could be in store for some memorable experiences.